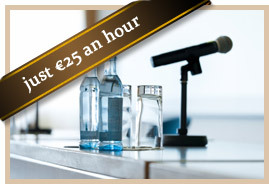 Voorts Legal Services provides two sorts of seminars: one-off seminars and courses that are spread across a number of different days. Below you will find further information about our courses and seminars. This seminar is aimed at improving legal English skills. The seminar consists of two one-and-a-half hour sessions with a half-hour pause separating the sessions. The focus of the first half of the seminar will be on basic rules to follow when writing a legal text in English. During the second half of the seminar, attention will be spent on common errors in legal English. Prior to the seminar, participants will be provided with the opportunity of submitting a piece of their own work. This piece will be corrected for mistakes. A reduced editorial rate will be applicable, with the first 750 words being free of charge (of course students may also submit a piece of coursework they are required to write in the context of their degree!). The submitted work will be edited within 48 hours of the start of the seminar. Click here for the full details of this seminar and click here to reserve your place on this seminar! Many students encounter problems when writing their bachelor or Masters thesis. During this seminar, attention will be spent on setting up a research plan: choosing a subject, structuring the research report, formulating a research question and associated sub-questions, as well as searching for research material. During this seminar extensive use will be made of the book Research Skills: Instruction for lawyers. This book can also be purchased through Voorts Legal Services prior to the start of the seminar. Click here for further details on this seminar and click here to reserve your place on this seminar! 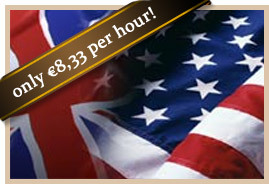 This course focuses on presenting in English. In a small-scale setting, the instructor together with maximum six students will focus on oral presentation skills. During the sessions, attention will be paid to general presentation skills (for example hand gestures, posture and voice etc. 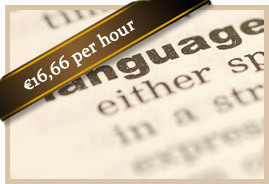 ), as well as informal vs. formal language, sentence structure and pronunciation. During the course, each student will be required to present a 10 minute presentation on a subject of their own choosing (obviously this may also be a presentation that must be given in the context of a degree course!). The presentation will be recorded and discussed in the group. Each student will receive a personal feedback form with information on which skills require more work and how best to improve these particular skills. Click here for a complete description of this course and click here to reserve your place! a brief introduction in four main substantive areas of law, inter alia property law and criminal law. Click here for further information about this course and click here to reserve your place!